Military Tanks and vehicle production. After the evacuation of Dunkirk in June 1940, Vauxhall Motors was given one year to design and produce a suitable heavy tank. 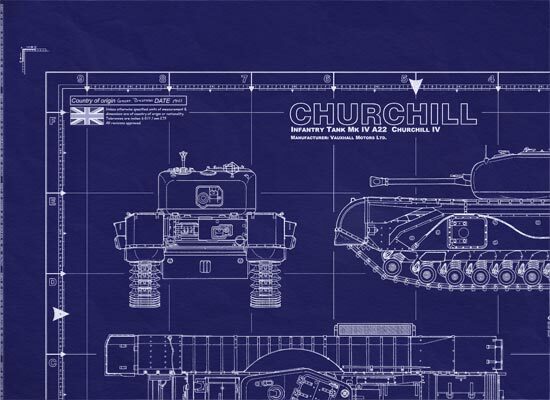 — in May 1941 the Churchill tank went into production. Bedford Vehicles was a subsidiary of Vauxhall Motors. — constructing commercial and military vehicles. Vauxhall took the Churchill tank from specification to production in less than a year. Over 5,600 Churchill tanks were built. 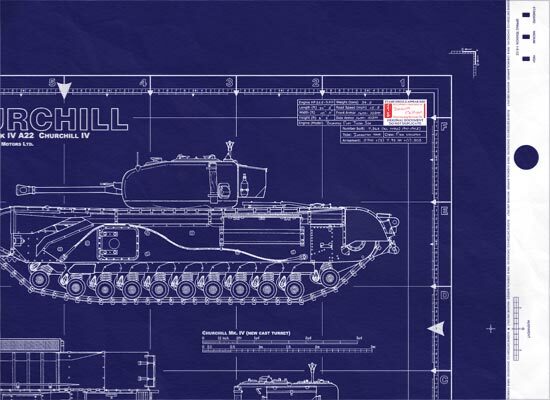 British Infantry Tank Churchill IV - This is a real blueprint made directly from vellum masters. Delivered to you on a full size master sheet measuring 42"x 30". The blueprint will arrive uncut, edge not slit, or trimmed, and are marked for proper 36"x24" finishing. 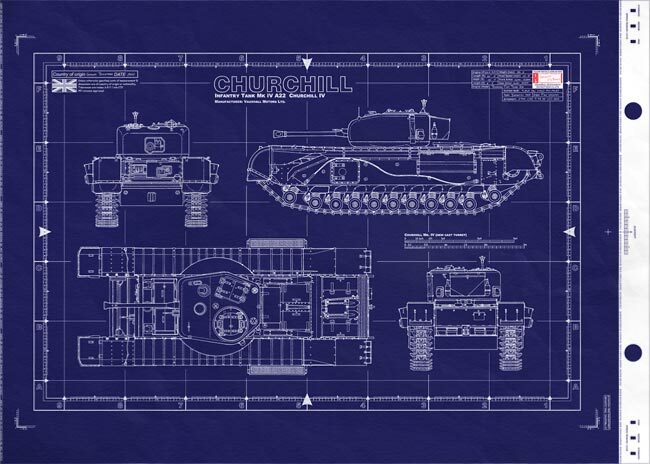 This is a detailed general arrangement plan (standard blueprint cover-sheet) of the Churchill IV Infantry Tank, a series of tanks named after Winston Churchill. The blueprint will arrive uncut, edge not slit, or trimmed, and are marked for proper 36"x24" finishing. 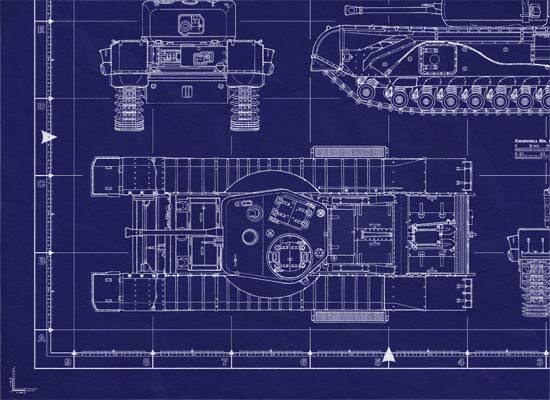 This is a detailed general arrangement plan ( standard blueprint cover-sheet ) of the Churchill IV Infantry Tank, a series of tanks named after Winston Churchill. Continued from above… to you anywhere in the world. We will shortly begin to update the military history of this tank.